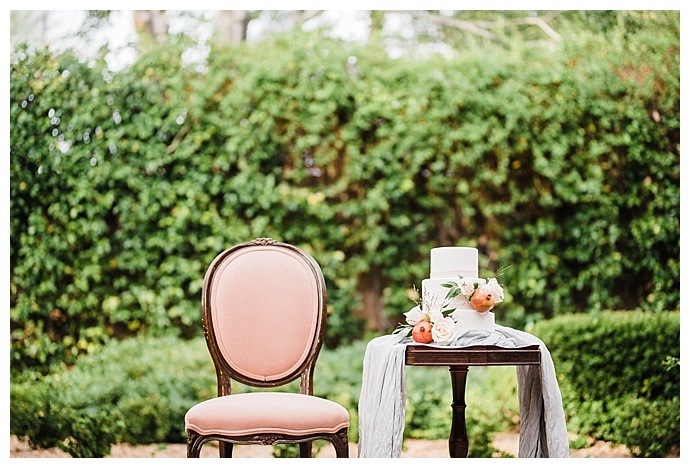 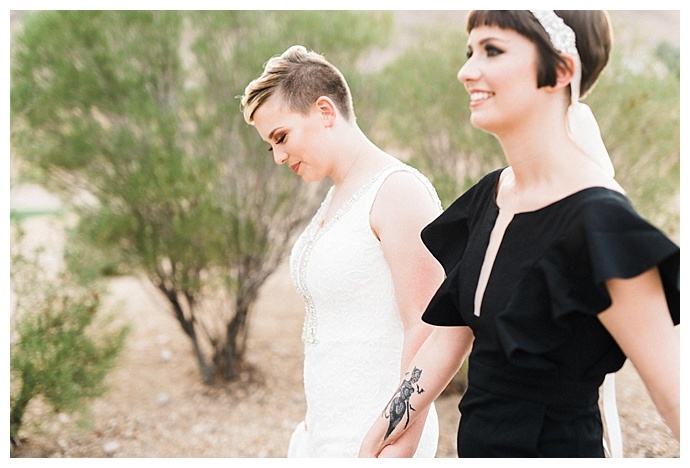 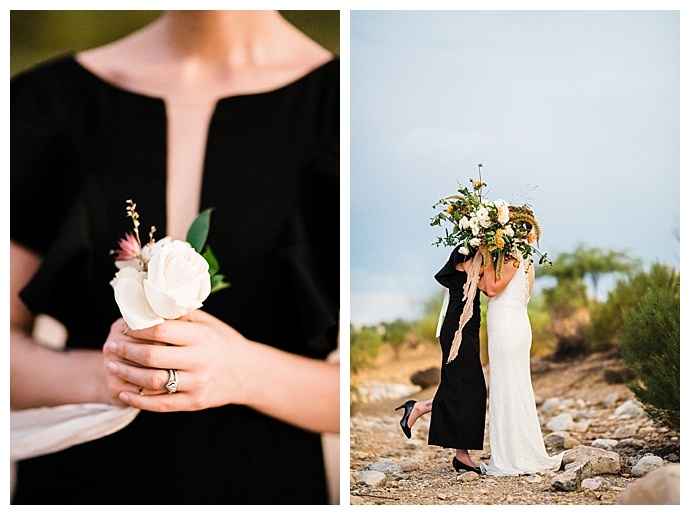 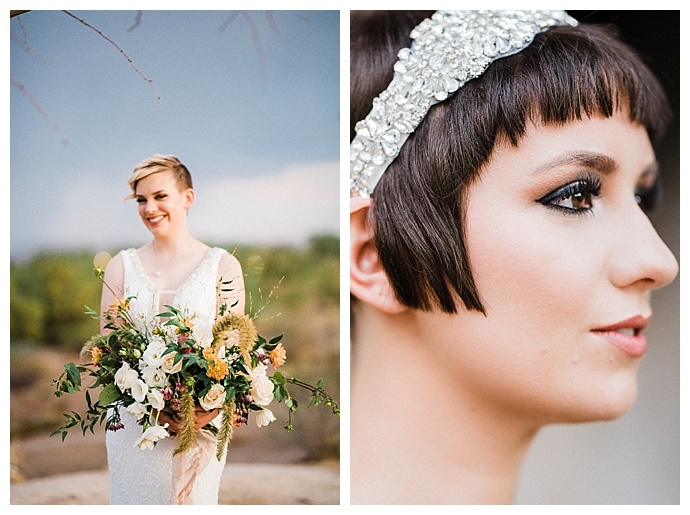 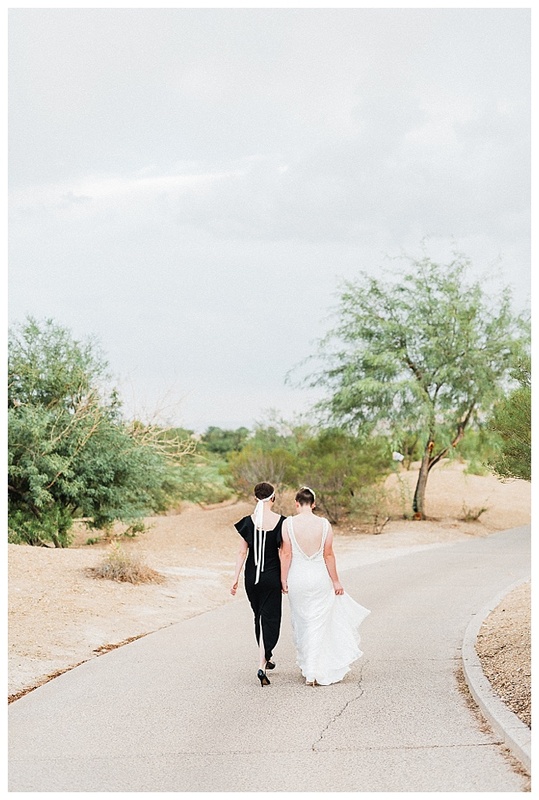 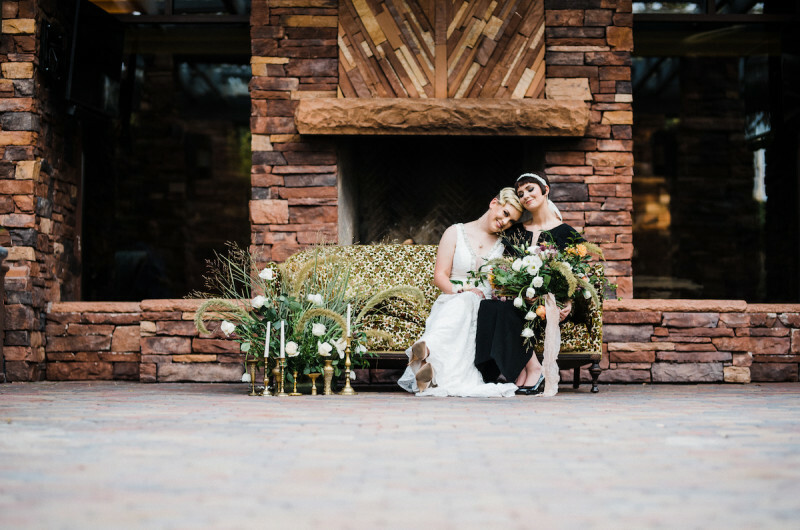 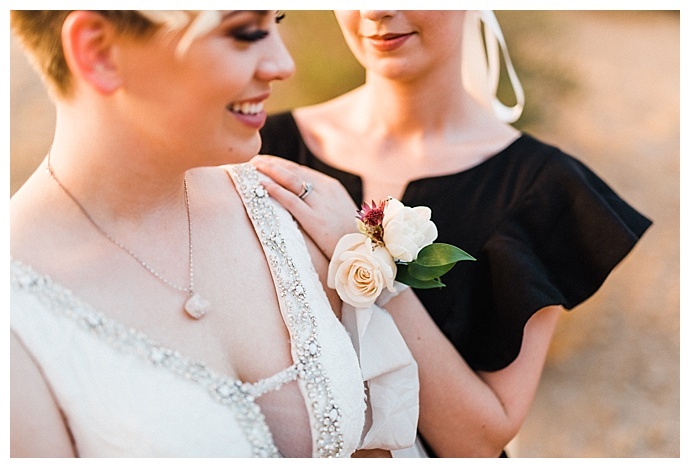 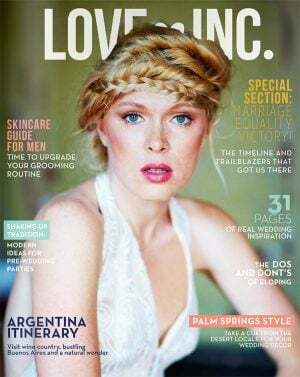 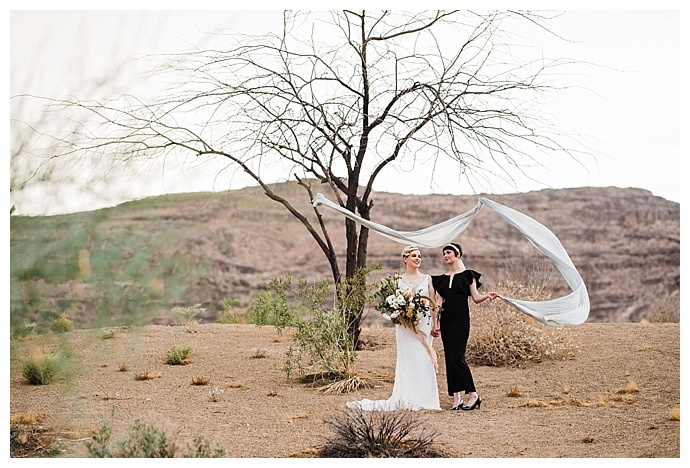 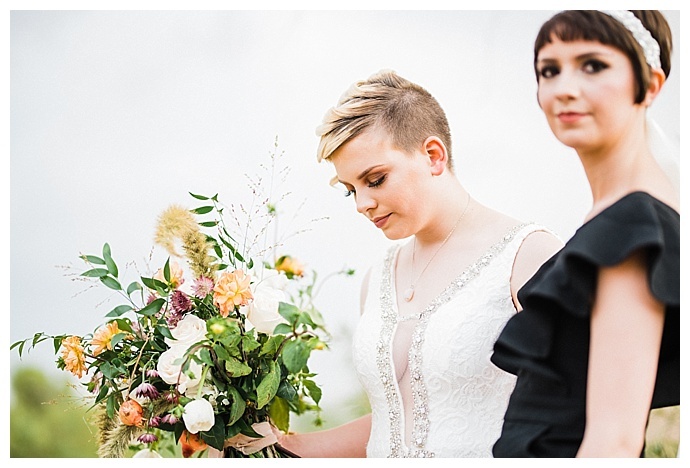 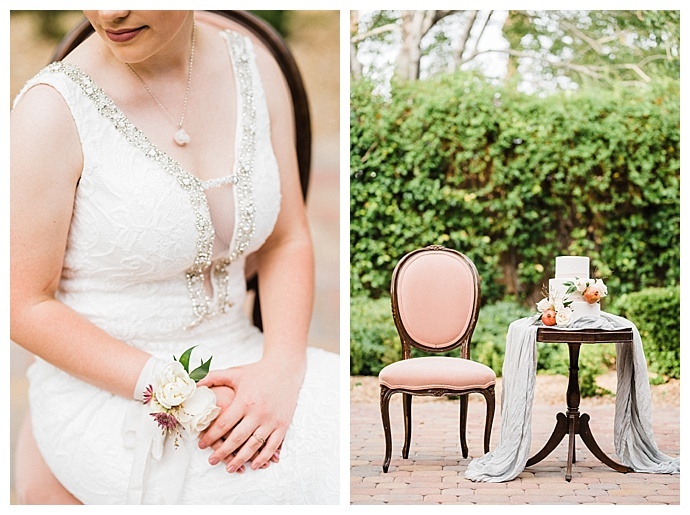 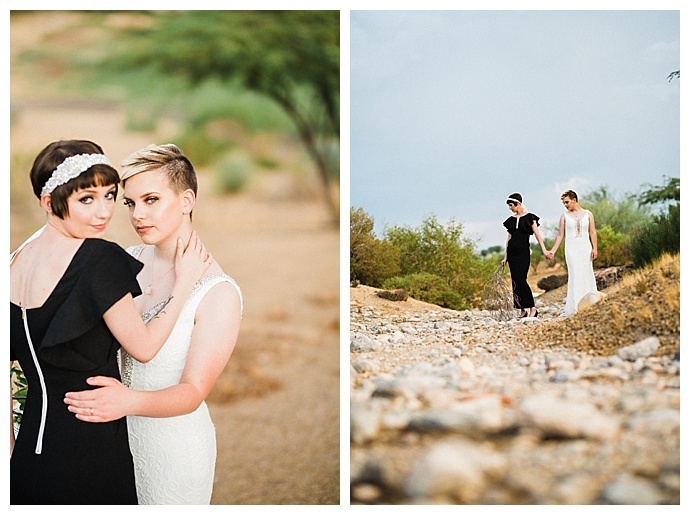 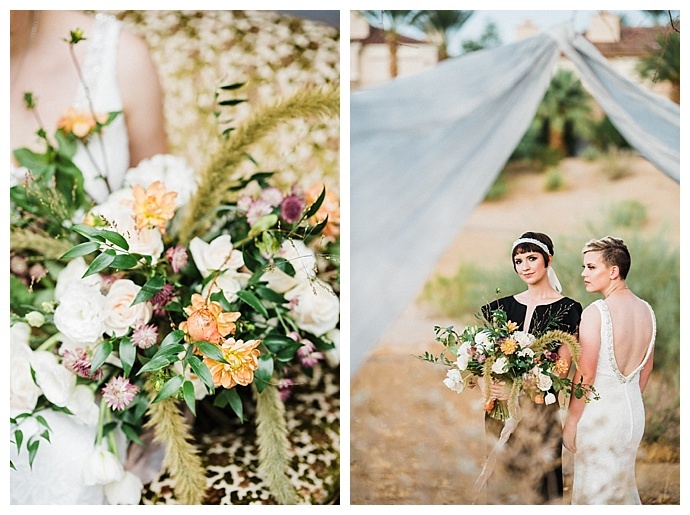 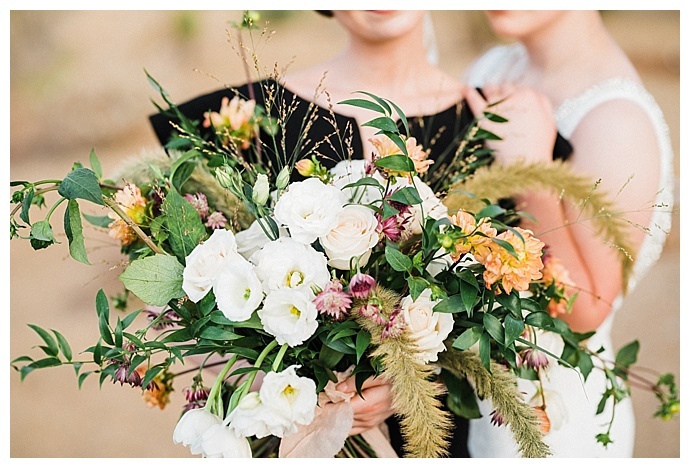 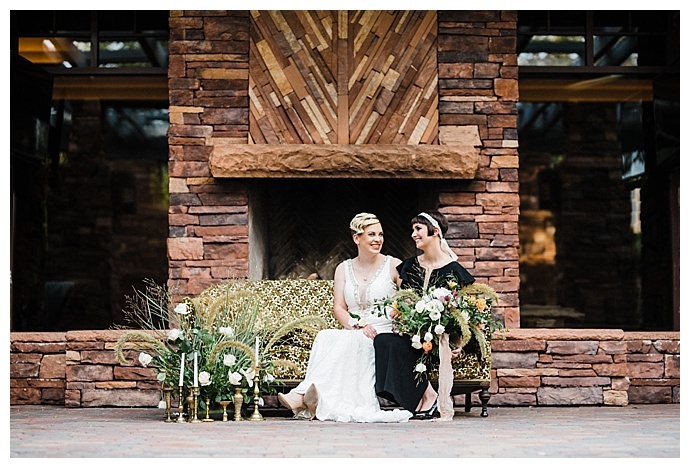 In today’s styled elopement, where modern meets vintage, we’re getting a beautiful taste of Fall in the desert. 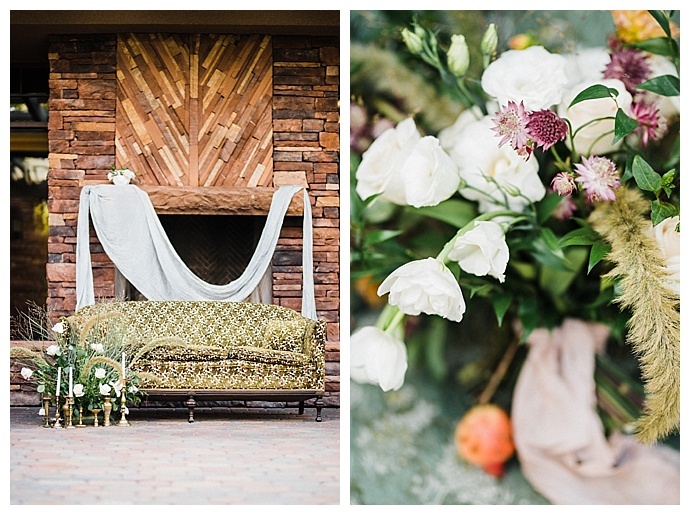 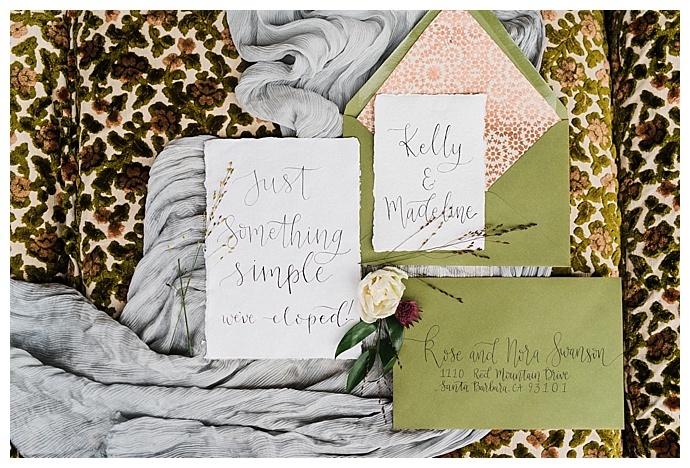 With earth-toned florals that mimic the beauty of the desert landscape and a pastel color palette that’s perfect for Fall, a team of talented creatives created an intimate soiree for two chic, stylish brides. 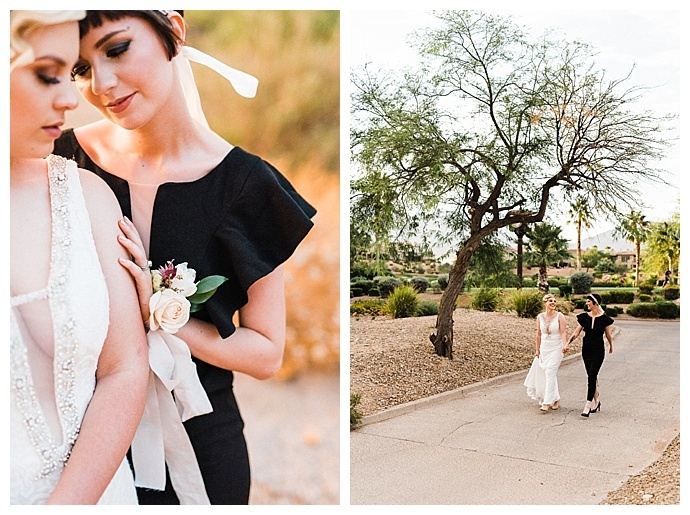 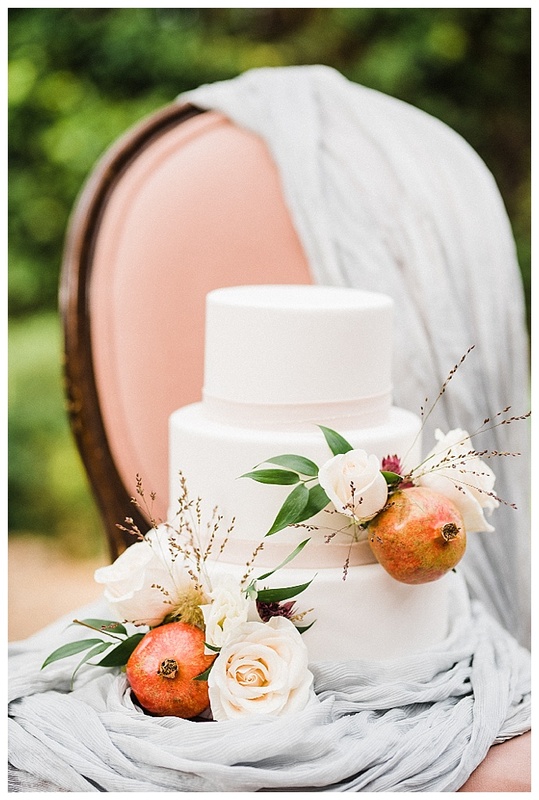 Blending both modern and vintage elements, Kristen Kay Photography captured the beautiful details set in the Las Vegas desert, including a minimalist-designed stationery suite and a modern three-tiered white wedding cake adorned with pomegranates that’s oh, so sweet. 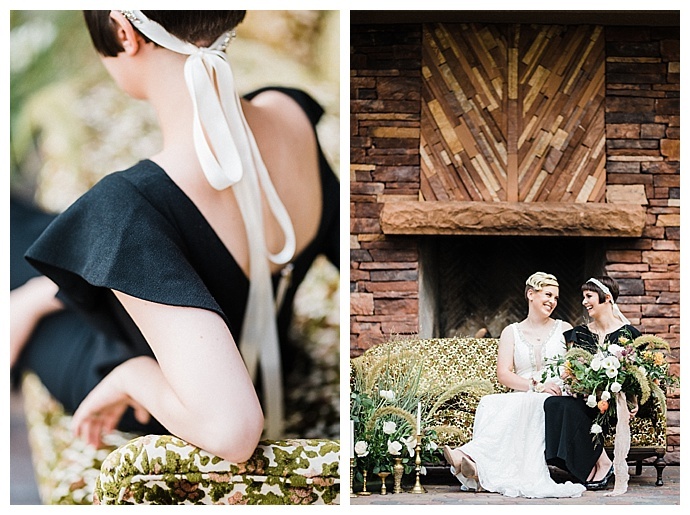 Ribbon: Honey Silks & Co.